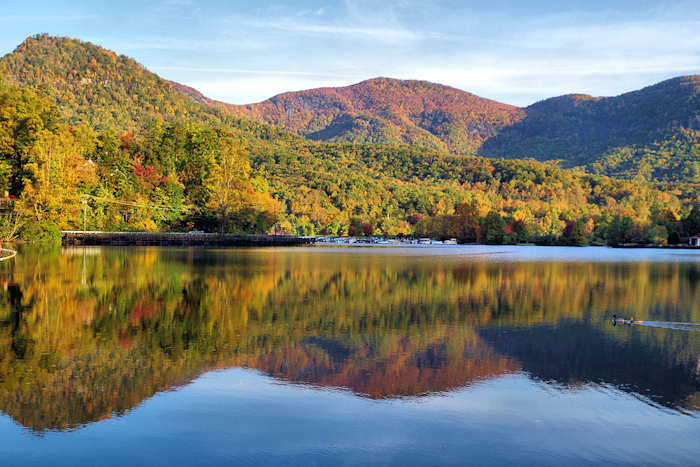 One of the most beautiful man-made lakes in the country, Lake Lure is nestled in the foothills of the Blue Ridge Mountains of North Carolina. 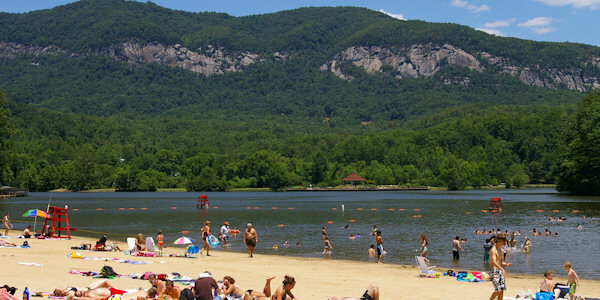 Located about 27 miles from Asheville, Lake Lure sits in the Hickory Nut Gorge, surrounded by lush mountain tops and sheer granite cliffs. Look up to see the famous Chimney Rock. From the top of Chimney Rock, there are spectacular views of the lake and gorge. It has been a filming location for scenes from the movies Thunder Road, Dirty Dancing, A Breed Apart, The Last of the Mohicans and Firestarter. Don't miss the Dirty Dancing Festival! 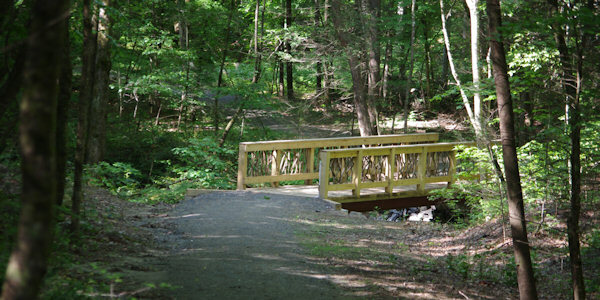 Take a relaxing walk on the boardwalk any time of the year (free) and cross the Flowering Bridge. Enjoy a picnic by the lake. Nearby is shopping and restaurants in the village of Chimney Rock. 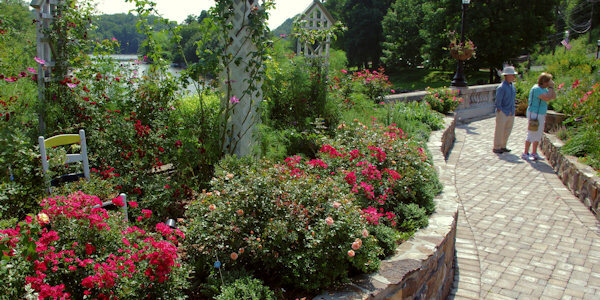 The lake is owned by the town of Lake Lure, with private homes surrounding most of the lake. Access is provided via a town marina, beach and park. The Beach: While the wide sandy beach and lake are owned by the town, a private company maintains the beach and its amenities that include a waterslide into the lake and a water park perfect for a hot summer day. There are also restrooms, changing rooms, snack bar and picnic tables. It's open Memorial Day through Labor Day. Early and late season, it's weekend only - and 7 days a week mid June-mid August. Admission is around $9/adults, $8/seniors, $7/age 4-12 - includes water park. No pets allowed. The beach is along US Highway 64 / 74A. Street address is 2930 Memorial Hwy, Lake Lure. Rumbling Bald Trail: Now part of the Chimney Rock State Park, this is a popular spot for rock climbing, bouldering and hiking. Hike the 1.5-mile loop by the boulders and cliffs. Read more. Town Center Walkway: From the Flowering Bridge, walk the Town Center Walkway along the lake for spectacular mountains views, extending 3/4 of a mile by Morse Park, the Marina and the beach. Morse Park & Greenway: Enjoy spectacular vistas of the Hickory Nut Gorge with a picnic or stroll at this 23-acre community lakeside park. Get lots of great information at the Rutherford County Visitors Center there. Lake Lure Tours (2930 Memorial Hwy) offers guided boat tours and boat rentals. In April-October, relax on one of their covered tour boats while your skipper guides you past local attractions and landmarks such as the locations used in filming the popular film Dirty Dancing. Tour tickets are sold at the Marina. Mountain Biking (and hiking): Buffalo Creek Park is the gateway to 1,500 acres of conserved land that protects the northern headwaters of Lake Lure. When fully developed, it will offer over 10 miles of intermediate to advanced mountain biking trails and picnic facilities along Buffalo Creek. The current mountain trail snakes upward in a 3.5-mile loop that climbs approximately 500 feet through forest terrain and boulder fields. An additional one mile trail is open for two miles out and back. Directions: From Asheville, drive the curvy road around Lake Lure on U.S. Highway 64/74A about a mile past the dam to Bill's Creek Road. Turn left and go about 2 miles and turn left on Buffalo Creek Road. Follow this road for 2.2 miles, past the golf courses and condos. Turn right at the sign for Rumbling Bald Resort, cross the small bridge and continue for 1.6 miles. The park entrance will be on your left. Weed Patch Mountain Trail extends for 8.5 miles to Eagle Rock. Lake Lure Golf Club: This nine-hole public course offers a challenging golf game amidst the beautiful scenery of Hickory Nut Gorge. The course is open year round and has a clubhouse, driving range and two putting greens. Lake Lure Adventure Company: Dedicated to providing a safe, fun, exciting, and adventurous experience on Lake Lure with watersport trips, wakeboard, wakesurf, waterski, kneeboard, tube, fishing and more. Boat rentals also available. The Right Track Toy Train Museum is an interactive toy train museum with 100% of the proceeds going to Pancreatic Cancer Action Network. It is fun for children as well as adults. Open Wednesday-Sunday during the summer and Friday-Sunday afternoons the rest of the year. 2414 Memorial Highway, Lake Lure. Lake Lure is located 27 miles from downtown Asheville. Follow I-240 East to Exit #9, Highway 74A East to Bat Cave and continue on Highway 74A (and Highway 64) to Lake Lure. 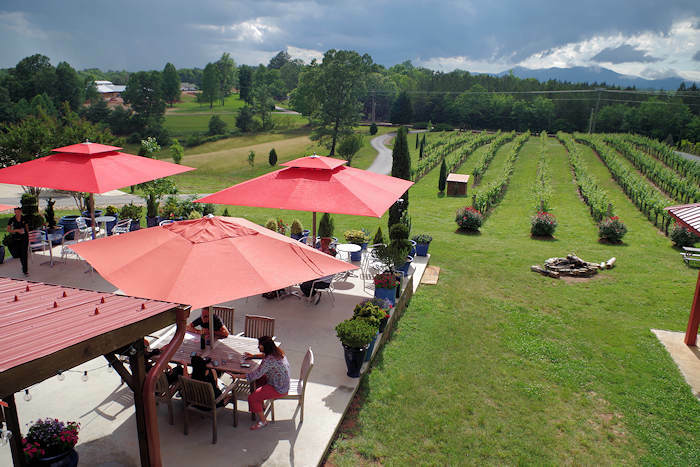 See more cool North Carolina mountain small towns. Find a big variety of cabins, condos and other vacation rentals at Lake Lure - as presented by Rutherford County Tourism. Take a scenic Lake Lure cruise from Rumbling Bald Resort. Choose from their daily scenic cruise, lunch stop cruise or late afternoon wine cruise. All tours depart from their North Shore Beach Cabana. Before or after, walk the beach or dine in one of their restaurants. Jump into the chilly waters of Lake Lure to raise money for local charities. What a way to start the new year! One of the biggest sports festivals in NC, the event in the spectacular Hickory Nut Gorge is anchored by three major races: 10K Dam Run, Triathlon and Race up Chimney Rock. 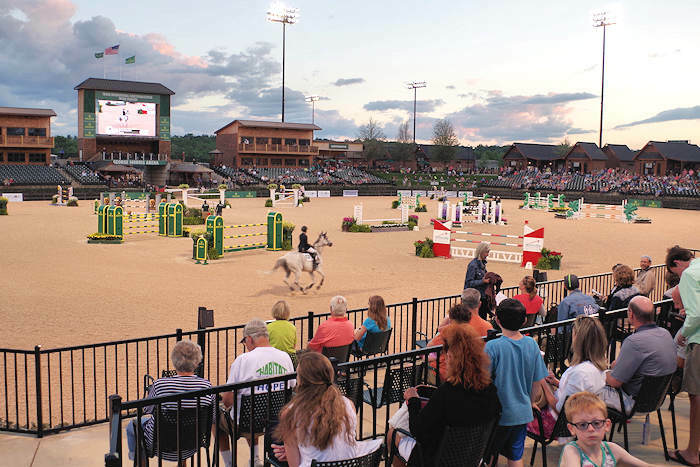 Events for kids, beginner athletes and spectators, too. Fans of the cult-classic Dirty Dancing will relive memories of Baby's first dance in the film’s original, breathtaking backdrop of Lake Lure. 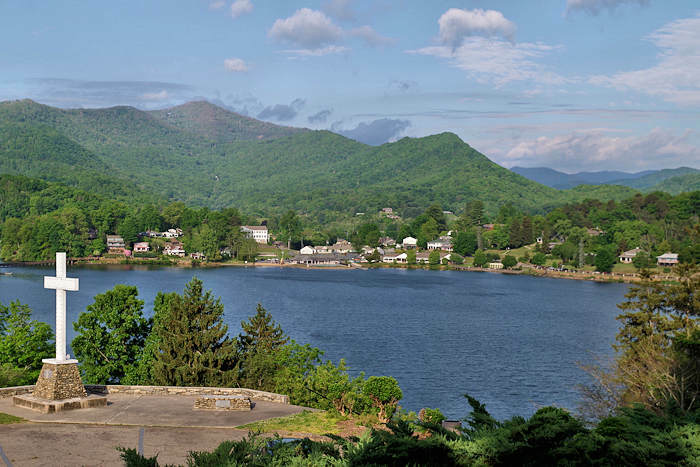 A Brief History of Lake Lure: The idea of this resort community in western North Carolina was the vision of Dr. Lucius B. Morse. Soliciting the financial backing of his brothers, Dr. Morse purchased 400 acres around Chimney Rock in 1902 to create Chimney Rock Park. Additional acreage was acquired over the next several years to bring the total to 8,000 acres. Dr. Morse conceived the idea of building a dam on the Rocky Broad River to create a lake and a year-round resort. The dam was completed in September 1926, forming the lake which was named Lake Lure by Dr. Morse’s wife, Elizabeth Parkenson. 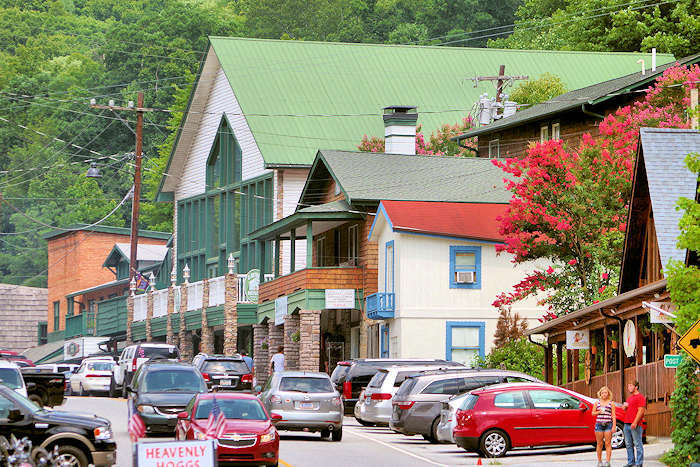 The Town of Lake Lure was incorporated in 1927.